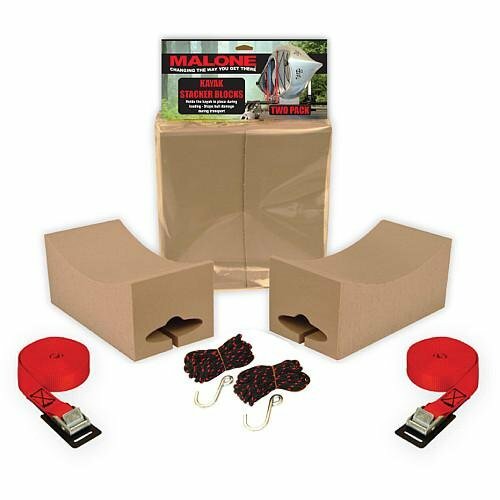 We are pleased to offer the brilliant Malone Auto Racks Kayak Stacker Foam Block Kit. The Malone Auto Racks Kayak Stacker Foam Block Kit allows you to carefully transport two boats without damaging them. 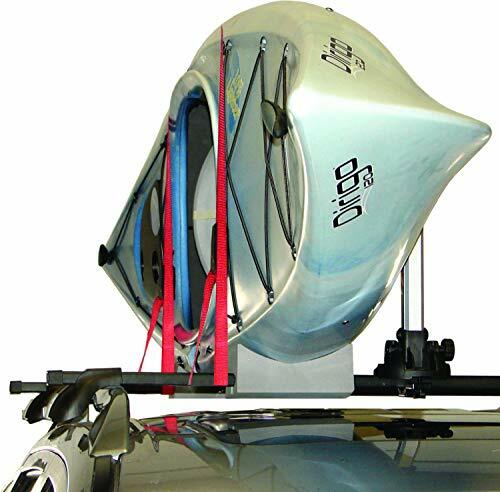 With two 8 inch foam blocks, kayaks or high end composite water crafts are protected from resting directly on the cross bars. 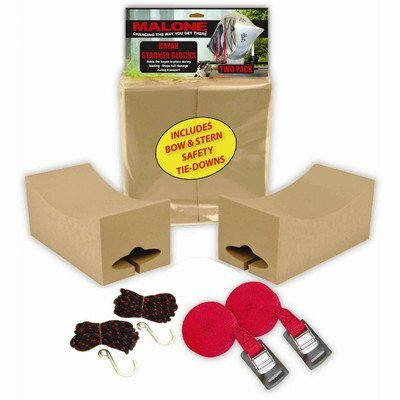 The foam blocks prevent the boat from sliding during strap down and transport. The blocks are compatible with round, square, or oval cross rails. 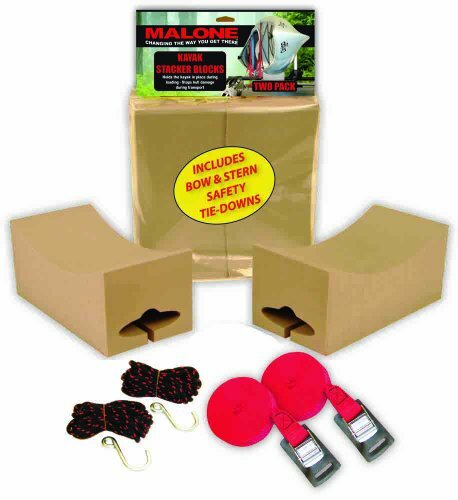 Two 12 foot straps for tying down, bow and stern lines are provided to secure the boat to the foam blocks. 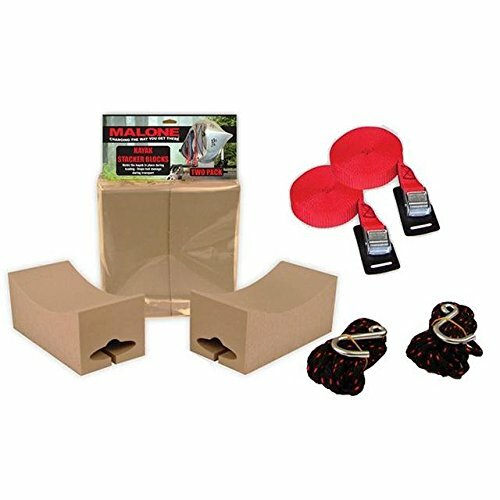 This accessory kit is designed to transform a Pro from a one to a two boat carrier up to 80 additional pounds. MPG169 Features: -Stacker block kit with bow and stern lines.-Transform your StaxPro into a two boat carrier for whitewater, recreational and high end composite boats.-Two 8'' foam blocks protect kayak (even high end composite boats) by cushioning the kayak so that it does not rest directly on the cross bar.-Blocks allow boat to stay in place and not slip during loading and strap down.-Blocks conform to round, square and factory oval cross rails.-Two 12' tie down straps and bow and stern lines secure kayak to foam blocks.-Made in USA. Warranty: -Manufacturer provides one year warranty.